We know that Cisco Catalyst Switching products and solutions are meeting different customers’ needs. All kinds of Cisco switch models scale well with the network as it grows. 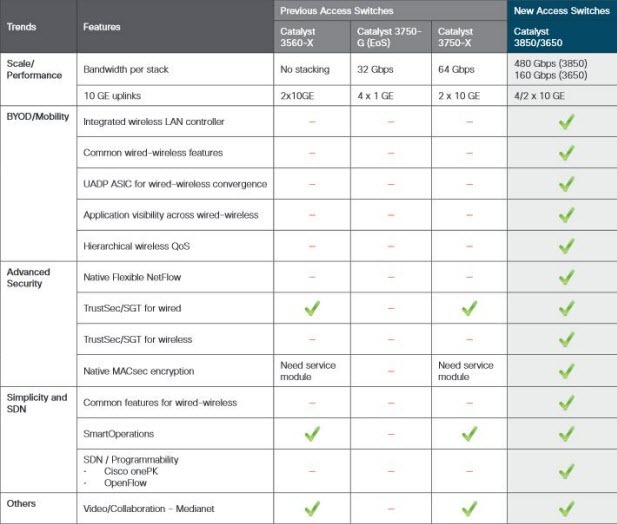 Yes, Cisco switches address the needs at the access, distribution, and core layers. 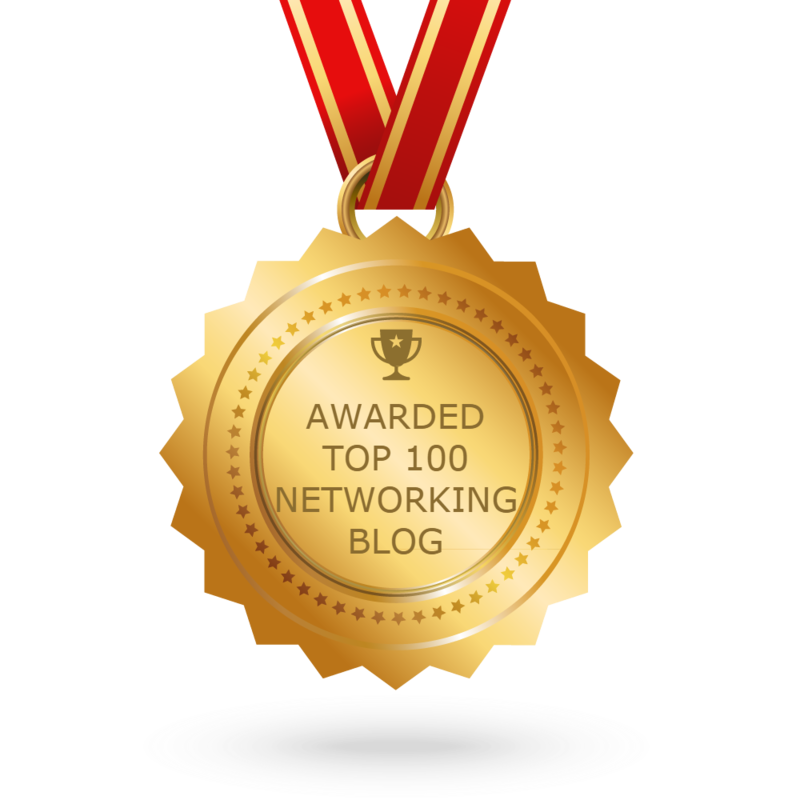 When you plan to design a network, it is important to select the proper hardware to meet current network requirements, as well as to allow for network growth. 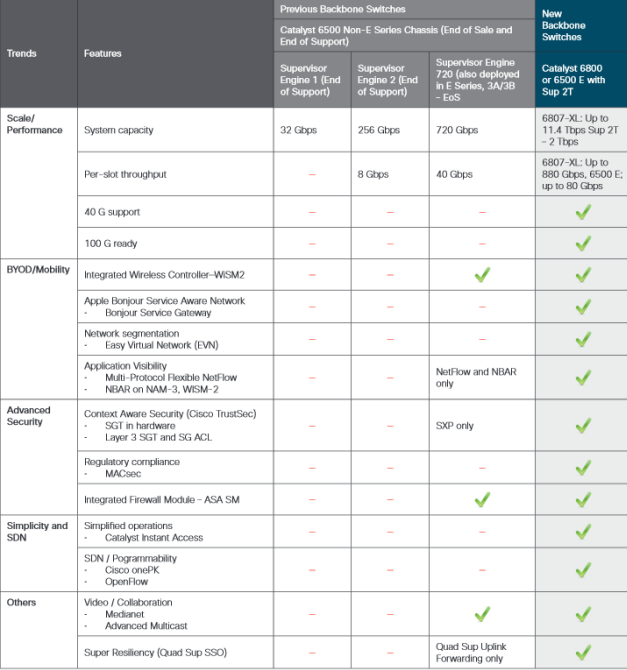 Recent years, Cisco continues to promote the new Cisco switches to replace the old ones. 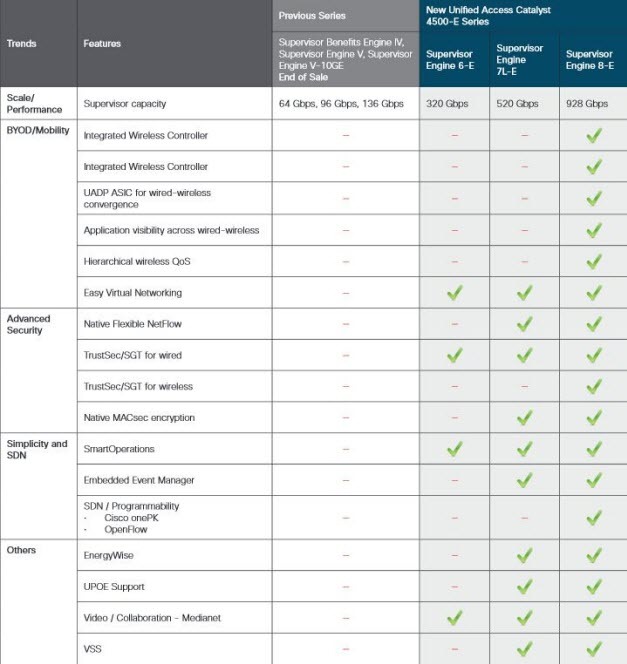 So for the users who design the network with Cisco hardware, especially with Cisco switches, which Cisco switch should you migrate to? Now, in this document we will outline the existing Cisco Catalyst Switching products and which solutions a customer should migrate to, as well as information on product functionality. Each migration path suggests a lead product and base product to propose to you and your customers. Lead – Best-in-class solution with a high-end, differentiated set of features in its category. Lead with this product. Base – Entry-level solution that has a lower price and limited feature set, but still beats competitive offerings. Catalyst 2960-X/XR: How our new switch solutions compare to previous generations. 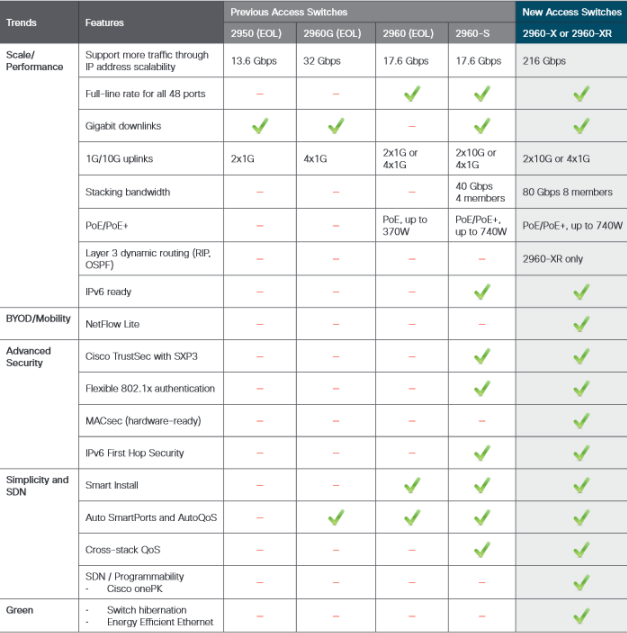 Cisco Catalyst 3850/3650 Switch: How our new switch solutions compare to previous generations. 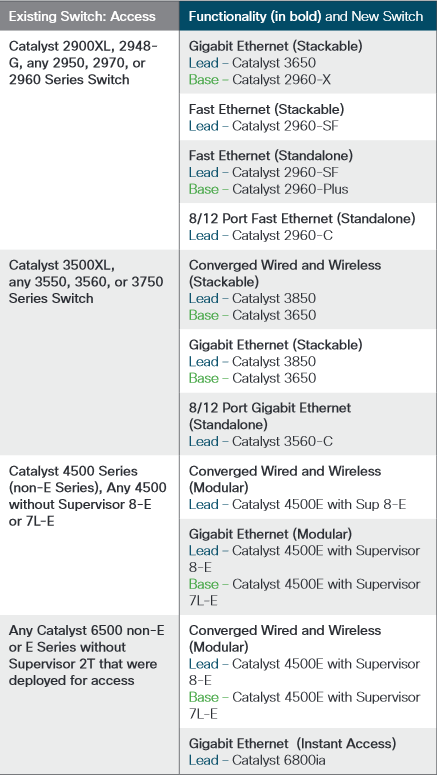 Catalyst 4500-E Series with Supervisors 8-E/7-E: How our new switch solutions compare to previous generations. 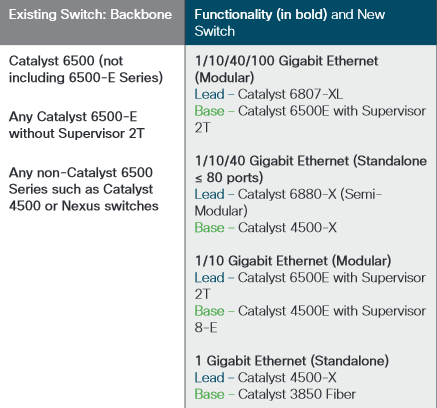 Catalyst 6500-E and 6800 Series: How our new switch solutions compare to previous generations.